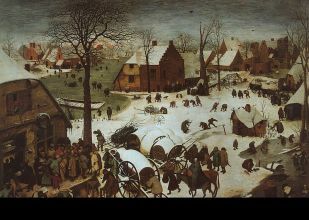 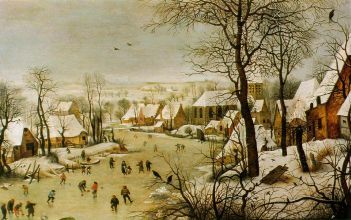 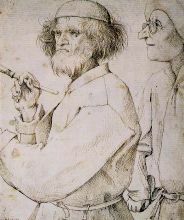 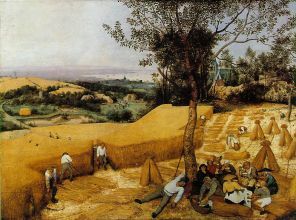 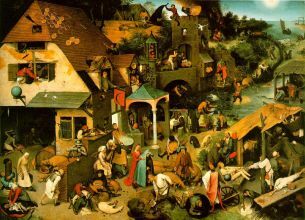 Pieter Bruegel the Elder (c. 1525 – September 9, 1569) was a Netherlandish Renaissance painter and printmaker known for his landscapes and peasant scenes (Genre Painting). 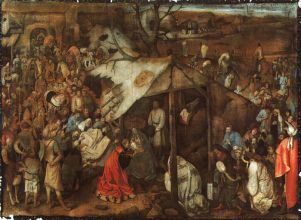 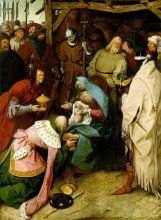 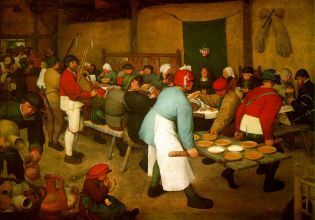 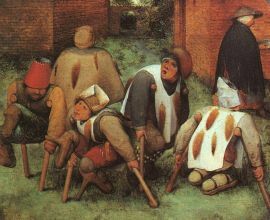 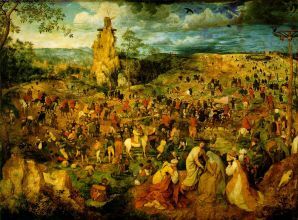 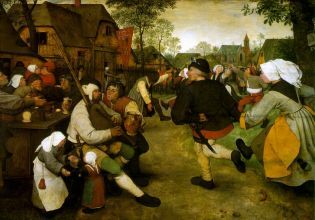 He is nicknamed 'Peasant Bruegel' to distinguish him from other members of the Brueghel dynasty, but is also the one generally meant when the context does not make clear which "Bruegel" is being referred to. 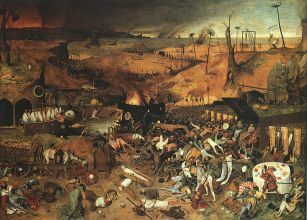 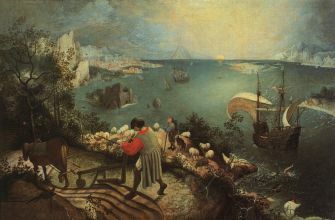 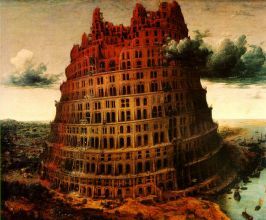 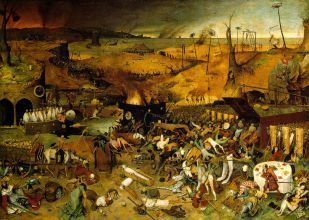 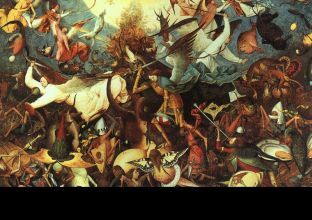 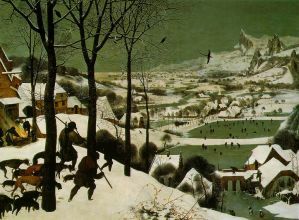 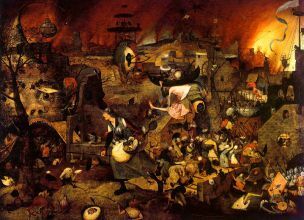 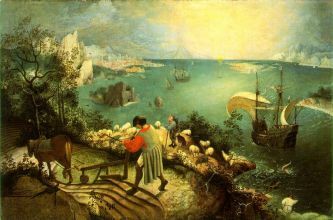 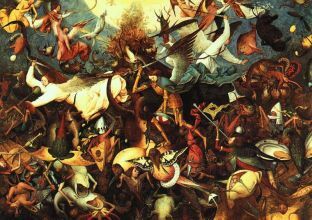 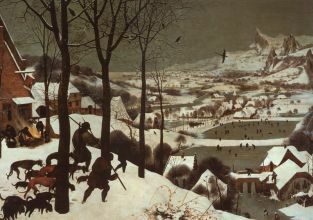 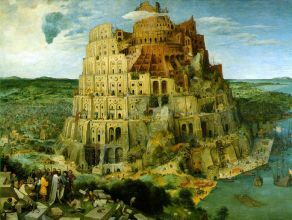 From 1559 he dropped the 'h' from his name and started signing his paintings as Bruegel.